A form of touch therapy that utilizes the principles of Traditional Chinese Medicine , Acupressure is a lot like Acupuncture . 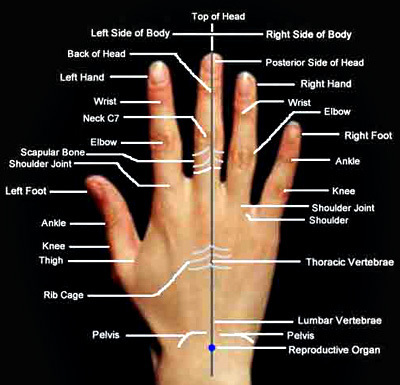 The same pressure points are used in both systems. The only difference is that while Acupuncture relies on the use of needles to stimulate the pressure points, Acupressure is non-invasive. 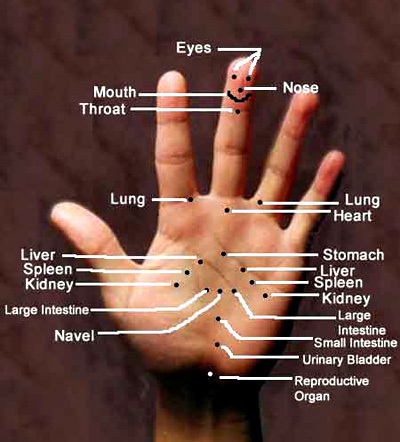 In Acupressure, the practitioner makes use of the finger tips to apply pressure. 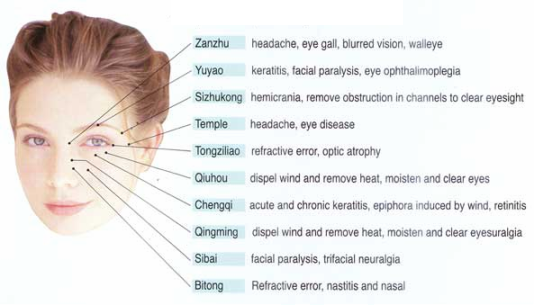 Herbal remedies, Acupuncture , Acupressure, Acutouch , Shiatsu , diet , lifestyle changes, and meditation are all a part of the comprehensive healing techniques found in China. Legend has it that both Acupuncture and Acupressure developed when early Chinese healers treated the wounds of warriors. These systems of healing came to the West in the 1970s. Acupressure, like Acupuncture, is based on the Chinese belief of Yin and Yang. Unlike medical practices in the West, Chinese Medicine does not consider the body as a separate entity. Both body and mind work together to form the person. Thus disease cannot be diagnosed as the breakdown of a purely physical system. The damage starts from the inside and slowly spreads to the organs and expresses itself. The ordinary man is so removed from his own body that he cannot detect the underlying cause of his disease. ‘Chi’ is the fundamental life force or energy that flows through the body and ensures the innate health and balance of the body. There are 12 major meridians in the body that support the transport of Chi. Acupressure works on the pressure points and ‘unblocks’ the circulation of Chi so that it can once again flow freely. Acupressure seeks to stimulate the points on the meridians that pass closest to the skin. These are the points that are easiest to stimulate using finger pressure. Acupressure massage performed by a trained practitioner is used both as a preventive as well as a therapeutic healing technique. Many health conditions including but not limited to headaches, migraine, cold, flu, arthritis, allergies, asthmas, sinus problems, sprains, tennis elbow and even toothaches can be treated using acupressure. Emotional and mental strain, tension and nervous tension can also be eased using this technique. Acupressure also helps increase positive energy within the person thus creating a sense of well-being. It can be used to stimulate the immune system, thus keeping many ailments at bay. Acupressure can also be used to alleviate sexual dysfunction. The techniques of acupressure are so easy that it can even be used as a self-treatment for common aches and pains. An acupressurist will evaluate the symptoms and general health of the patient through gentle palpitations. Then he begins his therapy on the different meridians of the body. Acupressure, unlike acupuncture is easy to learn and does not need any formal knowledge. The techniques of acupressure are fairly easy to learn and provide quick, cost-effective and immediate relief from symptoms. Acupressure is used as a treatment by message therapists and acupuncturists. 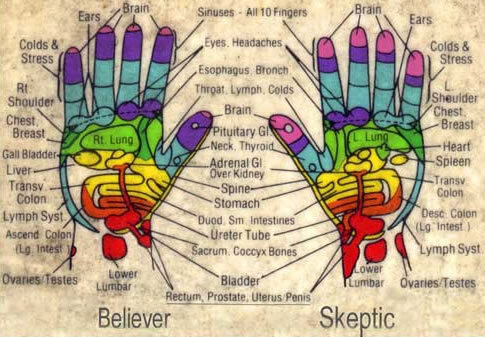 Most massage schools in America include a course of acupressure as part of their program. A session of acupressure is generally very relaxing and pleasurable. Some people experience immediate relief while others take some more time to experience benefits. For chronic conditions several sessions may be necessary. Acupressure, acupuncture, and related practices Do-in, G-Jo, Shiatsu, and Myotherapy, practiced in Asia for thousands of years, have only gained wider acceptance in the West in recent times. Traditional Asian medicine emphasizes personal responsibility for one's health. Many East Asian martial arts also make extensive study and use of acupressure for self-defense and health purposes (chin na). The points or combinations of points are said to be used to manipulate or incapacitate an opponent. Also, martial artists regularly massage their own acupressure points in routines to remove blockages from their own meridians, claiming to thereby enhance their circulation and flexibility and keeping the points "soft," or less vulnerable to an attack. Attacking the acupressure points is one theme in the wuxia genre of movies and novels. To stimulate an acupoint properly on your own, you must apply deep probing pressure after consulting your Doctor.